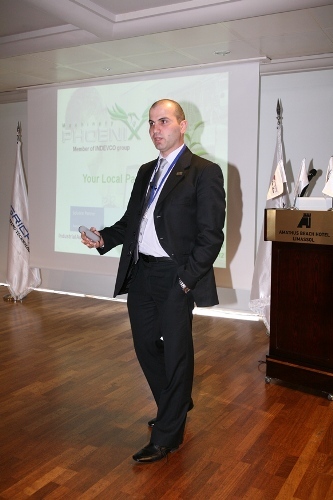 Phoenix Machinery, located in Safra, Lebanon, offers machinery solutions for hygiene and paper converting and corrugated packaging manufacturing at Paper One Show - ISPC 2012. Phoenix Machinery representatives, Rabih Osta, General Manager, and Fadi El Chiti, Marketing & Sales Manager, met with regional prospects and clients in the paper industry at One Paper Show - ISPC 2012. During the international symposium, the industrial machine manufacturer presented its machine solutions and services to attendees. 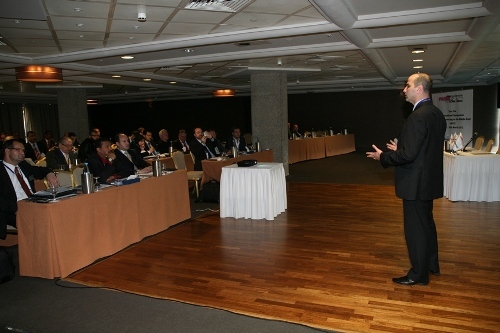 The 2-day event took place at Amathus Beach Hotel in Limassol, Cyprus from 29 – 30 March 2012. The event offers large international suppliers of paper converting and corrugating products the opportunity to hold individual workshops and meet with top regional hygiene and paper converters, as well as corrugated packaging manufacturers. Furthermore, the symposium keeps attendees in-tune with new quality and cost-efficient technologies in paper converting and corrugating machines, equipment, and services. Phoenix Machinery manufactures hygiene and tissue converting machines, high precision CNC components, as well as develops and integrates machinery automation, process automation and power distribution solutions. Phoenix Machinery exports to Congo, Egypt, England, France, Germany, Haiti, Russia, Saudi Arabia, Spain, Syria, the United Arab Emirates and the United States. The industrial machine manufacturer is a member of the multinational INDEVCO Group.